The flu is wreaking havoc across California and now pushing Bay Area hospitals past capacity as patients are overcome by their symptoms. In John Muir's urgent care center in Walnut Creek, staff are extending hours until 11 p.m. Monday through Friday to help meet the increase in need. On Monday night, the center saw 26 patients between 8 and 11 p.m.
"It's been a challenge," said Dr. Thomas Greely with John Muir Hospital. "Daily calls twice a day in order to evaluate our patients both critical care and non-critical care. We've upstaffed, but staff has been effected by the flu so that's been part of the challenge." The need is not just in the Bay Area, but nationwide. California has already recorded 27 deaths, with five of those reported locally. The deaths have prompted the Center for Disease Control and Prevention to issue a stern warning: get vaccinated. Health officials said even when it is not 100 percent effective, vaccinations do offer important protection and will lessen the number of cases that happen, lessen symptoms, and lessen complications. 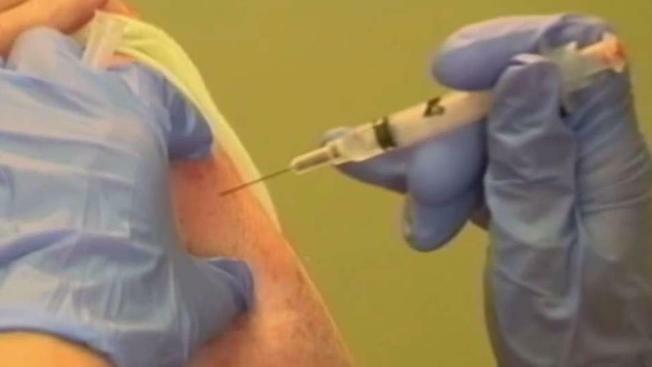 The CDC is now saying this season's flu vaccine is 30 percent effective, up from the original thought of just 10 percent. It holds the H3N2 strain that is the most common as well as three other strains. Doctors say those already suffering with the flu may not be able to get Tamiflu because the Bay Area is experiencing what they call "spot shortages," meaning there just is not enough to go around. Doctors also said that just because Tamiflu may not be around now, the manufacturer has told them there is enough. The CDC anticipated we have at least two more month's of flu season.